The Electronic Division is a very important section of National Store that specializes in small domestic appliances, beauty and health care products. The brands endorsed and traded by this division are of the highest shelf brands from Germany and also cater to infant utility, personal grooming and styling devices. As leading European manufacturer of clippers, trimmers and beauty products, the traditional MOSER® brand is part of the Wahl Clipper Corporation USA, the world’s leader for powerful hair clippers. 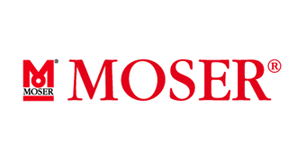 MOSER® has been setting standards for innovative professional hairstyling appliances for over half a century. The company’s location in Unterkirnach in the Black Forest is home to up-to-date development and production facilities. All professional MOSER® hair clippers and naturally their precision ground blade sets are made in Germany, and are developed, manufactured and distributed across the world. Quality appliances make life easier and more comfortable. 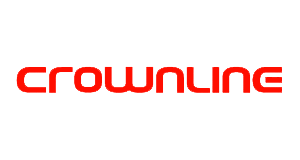 CROWNLINE has always taken pride in its ability to offer its customers top quality appliances that are ideal for all occasions. With CROWNLINE appliances you are assured value for money. CROWNLINE Products that fit every budget and style are what you find at every National Store LLC Stores and major retail Outlets. CROWNLINE brings you technology par excellence with its range of high end Small Domestic Appliances. With CROWNLINE products a house becomes a home. They are styled for easy use and maintenance and offer quality service. Adopt a healthy lifestyle with CROWNLINE’s range of kitchen and cooking appliances. Enjoy the exquisite designs coupled with advanced technology when you choose CROWNLINE Home appliances which include Air coolers, Rechargeable Fans, Portable Air conditioners, Mist Fans, Air Wave Oven, Ice Makers, Dispensers, Jump starters and many other unique products.